Would you like to learn about the most highly recommended dishes for this month? Keep reading, this is in your interest! 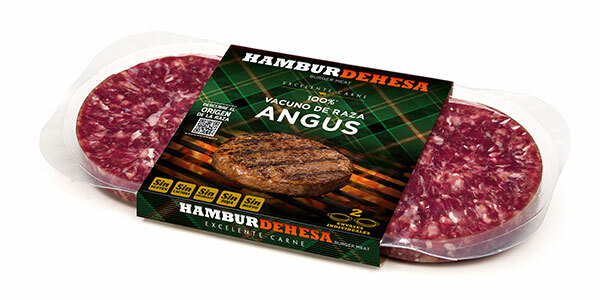 This is one of our star burgers – meat from heifers raised on the dehesa in total freedom. This meat, charcoal-grilled on the barbecue and accompanied by bread and barbecue sauce, will make a delicious meal for those summer meetings with your friends. The unique flavour of this meat and its energy value, along with your special touch, make an irresistible combination. One of the most select and exclusive hamburgers that originated in southwestern Spain. We think that one of the best pairings for this burger is with local Iberian products: with Iberian ham from the Sierra de Huelva – one of the world’s best – and cured cheese. The 100% quality dish of Spanish origin, ideal to invite your friends from anywhere in the world to try. This burger is characterised by its intense flavour, texture and juiciness. This dish in the purest American style requires bread, cheddar cheese, pickles, fried onions and the star sauce of any American burger worth its salt: ketchup. The ideal burger for any gathering of friends this summer is at your fingertips with the combination of these ingredients. Although it may seem commonplace to us, the special flavour of the meat will surprise everyone. This traditional Iberian meat, besides being especially tasty, is also extremely healthy. There are thousands of ways to cook and eat pork, but in this case we recommend combining it with vegetables. If you are planning a barbecue you can use the embers to cook vegetables such as red and green peppers, onions, aubergines and courgettes in addition to the meat. Almost anything you can think of is sure to combine well with our Iberian pork burger. We all have that friend who takes care of his or her diet and silhouette throughout the year and even if it happens to be you, this is the perfect dish for weightwatchers. This is one of the healthiest of all hamburgers, and if you grill it with green sauce you will have no excuse not to try it. Here at Hamburdehesa we love to enjoy every moment of the year in good company and, of course, we also love eating quality burgers. Which one would you like to try?